This summer has been pressurized with new levels of hidden mind control technology being directed with more concentrated efforts as directed by the military industrial complex, that includes cooperation between the human military and many factions of extradimensionals that run secret space programs. During annual August alignments of Leo, the planet undergoes what is called its Magnetic Peak cycle which generally transpires during the week of August 8th to August 15th, with August 12th being the pinnacle wave of magnetic force field transmission. Given the spin of the rotational axis of the planetary body as it moves through the ecliptic, the cycle reaches another peak in its cycle every 20 years and every 100 years. This means the amplification of the related force field will be multiplied exponentially in the earth field. With the increased magnetic force field available during this current cycle, the hidden programs of the Controllers, such as MILAB and MKUltra mind control, are targeted more aggressively towards certain people in order to break them down. They surf the additional force fields using technology such as military grade weaponry, microwave or EMF weaponry, that can amplify their targeted impact and influence to mind control or intimidate more people on the Ascension path. As many of us are well aware, these military groups target certain genetics or DNA groups that have more propensity to experience spiritual awakening or ascension symptoms. 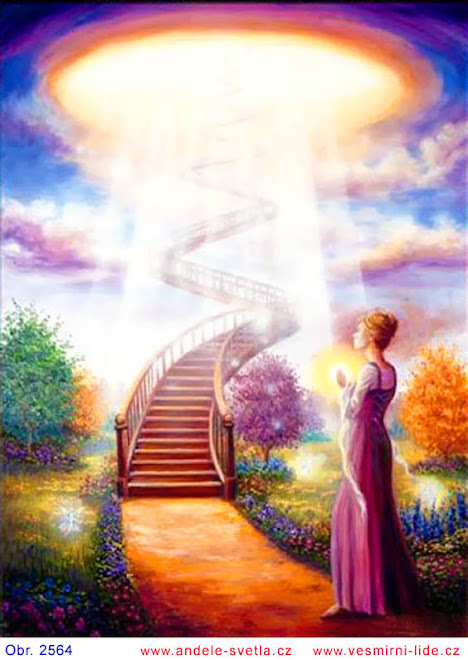 The humans that experience spiritual awakening, kundalini activation and other types of phenomena such as extradimensional or light being contact are Starseeds and Indigos. Because this group is a threat to the Luciferian Covenant and related satanic force agendas that include many different kinds of entities and forces, Star people have been targeted very heavily these last few months. The amplification of mind control and artificial intelligence is being transmitted out into the collective consciousness field, and is targeted to specific Starseed people. Many websites or Stewards are being targeted and spiritual battles are happening to instigate destruction, victimization or some kind of defamation of character agenda to steer people away from truthful content around Ascension or Spiritual Awakening. These mind control (AI) transmissions are very dark, depressing messages that are laced with feelings of hopelessness, suicide, feeling sick or related negative sensations. It is very important that as a Starseed you do everything you can to empower yourself and not play into the sick and deviant game of these screwed up people. Please realize we are on a planet that is being controlled by liars, deceivers, cheaters, murderers and psychopaths on the surface, many of them nestled in the military industrial complex that are puppets for those dark entities that sit higher on the chain of command off planet. Do not allow the psychopath to have any power over you, do not give them one inch to control you or take your energy away, stand tall, and do everything you can to connect to the deepest most human parts of yourself. The deeply human part that loves, has compassion and deep empathy, and has the heart connection to the living life force on this planet and other humans. They want to destroy or damage our heart and replace it with cyborg programs. Go deep within your heart to access the spiritual light warrior and truth spirit, gather all of your spiritual power and connection to the Godhead, and do not give in to harassment tactics. The harassment is designed to oppress your spirit and keep your frequency as low as possible so that they can discourage you from progressing. They are sending out transmissions that are lies so that Starseeds believe ascension is over and this planet and its inhabitants are not worth helping. Please remember that these psychopaths cannot control the power of spiritual consciousness, all they have to control is certain levels of the frequency that control the lower ego functions. They also try to replicate and clone images that are spun out into phantom dimensions, but if you know that, you can dismantle the machinery and it will have no ultimate power over your consciousness. If you can clear the negative ego, stay mentally balanced and strong, while keeping your consciousness power in your still point accessing Love, (in the higher access of your consciousness and spiritual bodies), they cannot get to your nervous system and brain. Keep your thoughts high and find people, things, nature – find things near you that you can focus all of your loving heart upon, even small pets, children, something that engenders feelings of deep love and compassion when you are in the presence of it. Who and what do you Love? What can you keep refocusing yourself upon to keep your overall energetic frequency as high as possible? Make as much Love as possible now. It is important now to keep your frequency high, keep your thoughts and feelings in the now moment focused on Love, Compassion and Empathy. Love, Compassion and Empathy are the hallmark of being a true human being, and not a robotic cyborg that is controlled through negative thoughts. Some people on the earth are descending in vibration and as they digress their frequency they are being taken over by lower spirits and artificial intelligence machinery. This is what is called consubstantiality, the persons low frequency energy field is bonded through the protein chains of their DNA into these low realms of dark forces of phantom and descending timelines. lower to mid creation field. 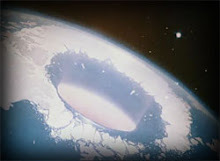 They have had success because they are backed up by Satanic and Luciferian gestalts of aliens, entities and other forces that are desperate to find bodies on the earth that they can control and inhabit. If they do not take full control this reality, they will be destroyed when the artificial reality field and false timeline collapses, so the battle is a battle to the death for them. This MILAB agenda is currently attempting to create transhumanism and cyborgs in the human public, in order for these satanic forces to take over and inhabit bodies on the earth, as they have been denied access to embody or incarnate in any other way. They see human bodies as their way out of here. Stay clear and stay focused on higher aspects of Love, the virtues of the Spirits of Christ and God source, never give up. We must focus on the larger picture of the eternal nature of the Godhead in the higher realms and not the instant gratification of these lower material forces that are entirely ignorant of the Natural Laws. All will be seen and accounted for, and for now, gather all of the Love you can find inside your heart, do what you can to bring that Love into action. The Love in your heart makes you a true human being!